IFPA is a federation of placental research organisations from different regions around the world. IFPA is devoted to supporting and promoting excellence in the field of placental research throughout the world. 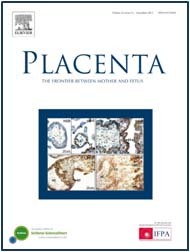 Reduced subscription prices for our journal, PLACENTA (US$40/year for senior investigators, US$20/year for new investigators). IFPA membership is free. You can register as a member by clicking the button below, which will take you to the registration page. You are also registered as a member automatically if you register for IFPA scientific meetings.